If he wanted a flag that badly, he just could have asked. 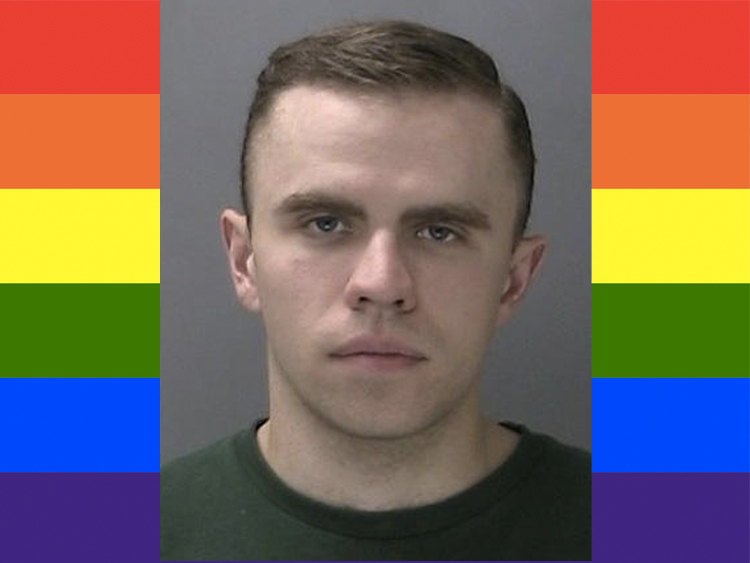 Long Island police have arrested 21-year-old Ronald Tyler Witt for allegedly stealing not one, but six rainbow flags from his local Sayville Congregational United Church of Christ over the past few months. However, the sign did little to deter Witt, who apparently went on to steal five more flags from outside of the church before being caught on surveillance cameras. After the wave of LGBTQ candidates winning their midterm elections Tuesday night (and noted homophobes such as Kentucky clerk Kim Davis losing theirs), hopefully we will continue to move even more towards acceptance for the community, but for now, it’s good to see the mystery of one petty hate crime solved. And hopefully the church will be able to hold on to their next flag.